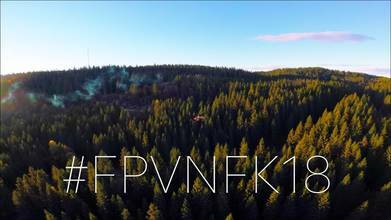 We love us some good air-to-air action, and this video opens with reverse shots of smoke-streaming FPV quads flying through the mountains. It's quite the start! Between that, the crane dives, rollercoaster twists and powerloops, and a few surprise shots of an empty waterpark, this video is definitely one to watch.